The Skatalites kick off their spring 2018 tour this weekend with dates in Bridgeport, CT; outside Philadelphia; and Ithaca NY. Started in Jamaica over fifty years ago, the Skatalites were the first band to record singles with Bob Marley and Toots Hibbert recorded some of their first singles with the legendary band. And over the next five decades they have toured nearly every inch of the globe spreading their positive vibe and horn-laden sound. While nearly all of the original members have passed on, many of the current band members have played with the band for decades, like keys man Ken Stewart who has played with the band for almost thirty years. Others are long time Jamaican veterans like drummer Trevor Sparrow Thompson. Original Studio One bassist Brian Atkinson will be playing with the band throughout 2017. Founding member Doreen Shaffer still sings with the band. Other members of the band are drawn to the rich legacy that they created and are younger players who are continuing the musical journey into the future. The band rightfully lays claim to being the originators of rocksteady, reggae, and ska and are the only band playing those styles in their purest form. They have a lifetime achievement award from the prime minister of Jamaica to prove it! So in addition to the amazing history of the Skatalites, these players represent the total legacy of Jamaican reggae, ska and rocksteady. And with the younger players, they could very well be representing the future of that music, too. “Their most recent recording Platinum Ska features some tracks with Lloyd Knibb, the original drummer who passed away in 2011 and was widely regarded as the creator of the ska beat as well as the ‘one drop’ rhythm that is the foundation of most reggae music. Also on some tracks is original alto sax man Lester Sterling who is still active but no longer touring regularly with the band. Original vocalist Doreen Shaffer contributes a vocal track on this cd and continues leading the band on it’s path as it continues it’s great legacy bringing joy to fans, old and new, all over the world.” The band is poised to embark on a five-night stretch in April in the Northeast, starting Thursday April 5th at the Acoustic in Bridgeport, CT. They’ll then perform at the new venue in the Philly suburbs, 118 North with R$kstdy as their special guests. The night after they’ll hit up Ithaca at the Haunt to perform with ¡Viva Mayhem! After a short break they’ll play a very special show on 4/20 making their debut at Hawks and Reed Performing Arts Center in Greenfield, MA with Dave Noonan’s Green Island opening. The following Saturday they’ll hit up Crossroads in Garwood, NJ with special guests Screwface, a Jersey-based reggae outfit. After a month-long break they will return to Massachusetts to play the Vault in New Bedford and then swing south to play the Ocean Mist on the water in Kingston, RI. A few weeks after that, they’ll hit up Sonia in Cambridge on Friday June 8th and Bayside Bowl in Portland, Maine the night after. 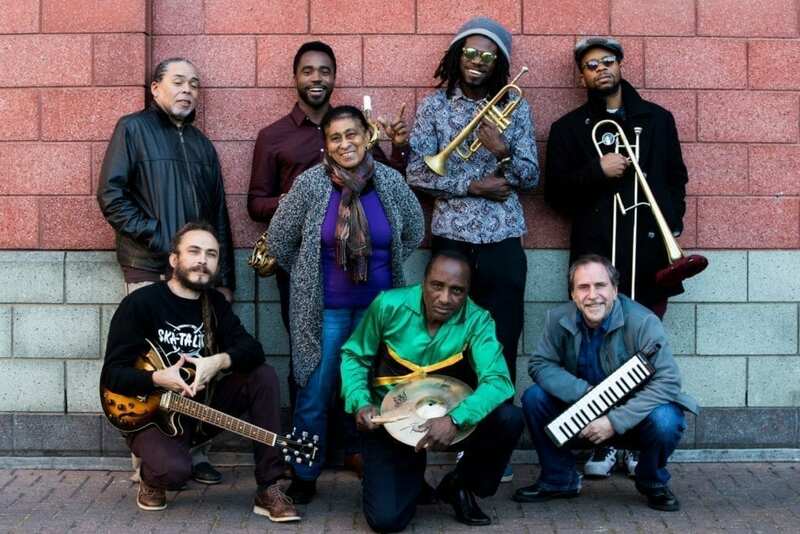 The Skatalites then head up to Montreal to perform and then jump across the pond for a number of international tour dates and festival appearances. Stay tuned for more announcements on their Facebook page and website.